A Lesson to Remember from St. Patrick the Evangelist. In Britain today St. Patrick’s day is well known for being a day when you get bombed out on booze till you can’t feel your knees. It’s almost a pagan holiday of sorts. But who was St. Patrick? And one thing, was he (umm) a leprechaun? Let’s get Moore to the Point…. In his volume, St. Patrick of Ireland: A Biography, Philip Freeman, a professor of classics at Washington University in St. Louis, lays out a compelling portrait of Patrick, the theologian-evangelist. In accomplishing this, Freeman attempts to reconstruct Patrick’s cultural milieu—that of a world that had “ended” with the fall of Rome in 410 A.D. This collapse of Roman power had unleashed savagery in the British Isles, as thieves and slave-traders were unhinged from the restraining power of Caesar’s sword. Patrick’s ministry was shaped by this new world, not least of which by Patrick’s capture and escape from slavery. Freeman helpfully retells Patrick’s conversion story, one of a mocking young hedonist to a repentant evangelist. The story sounds remarkably similar to that of Augustine—and, in the most significant of ways, both mirror the first-century conversion of Saul of Tarsus. Freeman helpfully reconstructs the context of local religion as a “business relationship” in which sacrifice to pagan gods was seen as a transaction for the material prosperity of the worshipers. Against this, Patrick’s conversion to Christianity was noticed quickly, when his prayers of devotion—then almost always articulated out loud—were overheard by his neighbors. The rest of the narrative demonstrates the ways in which Patrick carried the Christian mission into the frontiers of the British Isles—confronting a hostile culture and institutionalized heresy along the way. With this the case, the life of Patrick is a testimony to Great Commission fervor, not to the Irish nationalism most often associated with the saint. As a matter of fact, Freeman points out that Patrick’s love for the Irish was an act of obedience to Jesus’ command to love enemies and to pray for persecutors. This biography gives contemporary evangelicals more than a pious evangelist to emulate. It also reconstructs a Christian engagement with a pagan culture, in ways that are strikingly contemporary to evangelicals seeking to engage a post-Christian America. Patrick’s context was a Celtic culture deeply entrenched in paganism, led by the native earth religion of the Druid priests. This is especially relevant in an era when pseudo-Celtic paganism is increasingly en vogue in American and European pagan movements. Freeman sweeps away the revisionist historical claims of the Druid revivalists: there was no “golden age” of equality among the sexes within the Druid cult, for example. Instead, Freeman shows that Patrick’s Christianity actually brought harmony among the genders with his teaching that women were joint-heirs with Christ. Any evangelical seeking to kindle a love for missions among the people of God will benefit from this volume’s demonstration that the Great Commission did not lie dormant between the apostle Paul and William Carey. 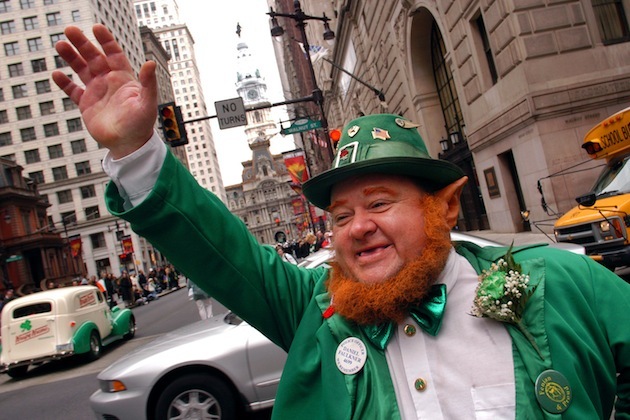 Patrick’s love and zeal for the Irish may also inspire American evangelicals to repent of our hopelessness for the conversion of, say, the radical Islamic world—which is, after all, no more “hopeless” than the Irish barbarians of Patrick’s era. Excerpt from An Evangelical Looks at Saint Patrick. Thanks for your great Blog. Many great historical figures have been reduced to cartoon figures. Preaching to a crowd of Druid pagans, could not have been easy. God Bless. Thanks for the post. I remember being shocked about 4 years ago when I learned about the real St. Patrick. In school we just learned that he chased all the snakes out of ireland beat many of them with sticks. I never would have though that he was a grat evangalist loving his enemies and preaching Christ. As person that feels a calling to evangalism and missions I can really look up to this man.